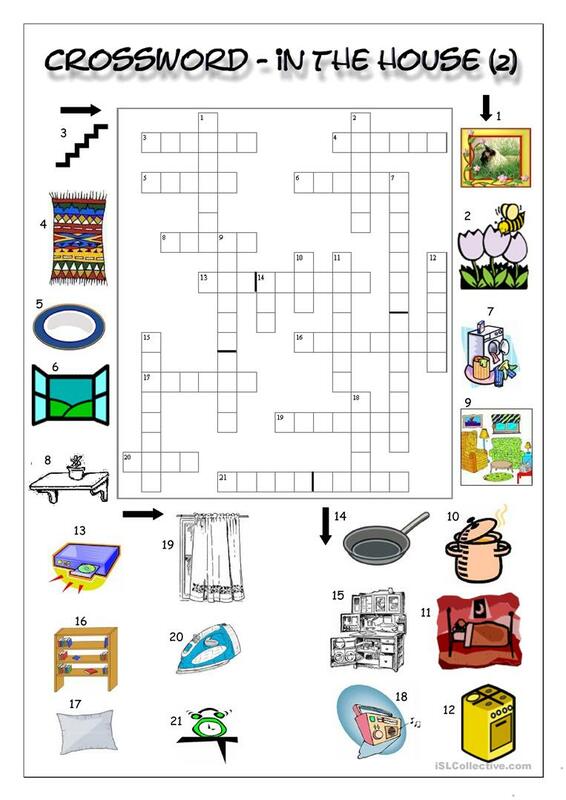 Crossword with picture clues containing HOUSE vocabulary (items found int he house). 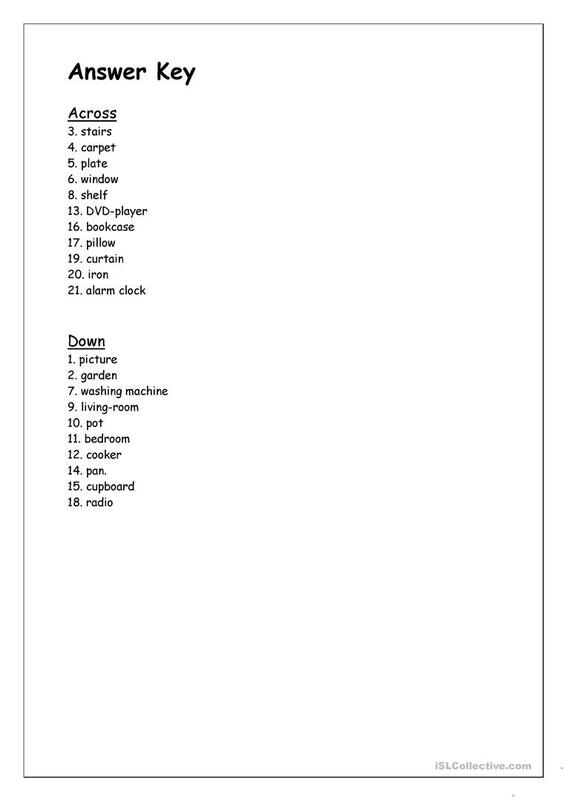 A good way to revise or enhance students´ general vocabulary and spelling skills. This downloadable printable is best suited for high school students, elementary school students and adults at Pre-intermediate (A2) and Intermediate (B1) level. It is a valuable material for honing your groups' Reading and Writing skills. It centers around the vocabulary topic of Home. It includes the answer key, too.